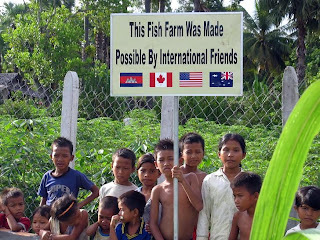 Besides a nurse's station at the orphanage, the other project that I helped usher along while I was in Cambodia was the FISH FARM. 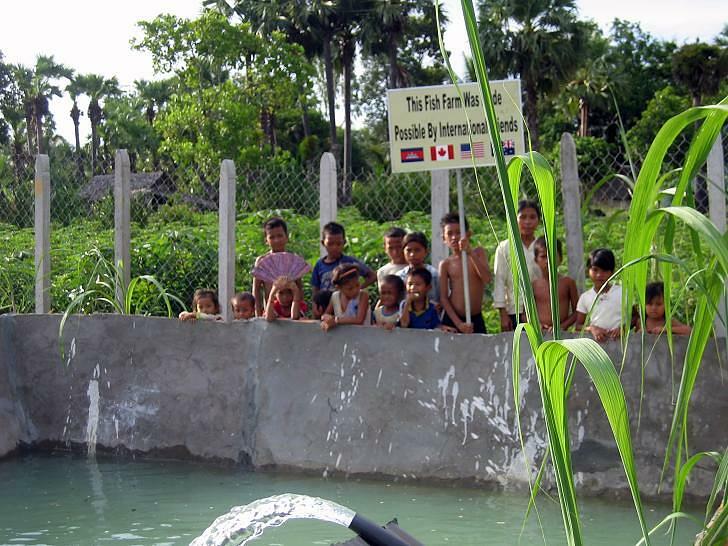 This farm was designed to be a sustainable source of food for the orphanage. I was told that catfish were going to be used because they were easy to raise and good to eat (but damn ugly to look at). If you have read any of my previous posts, you might recall how hot and humid I said it was. Nevertheless, the workers started construction on the farm and they were bundled up so much, it was difficult to tell if they were men or women. The excess clothing must have kept the sun off their skin but damn, I'm sure they were sweating like hogs. A couple of months later, Savong sent me the pictures of the completed farm. Here it is ... but without any fish. 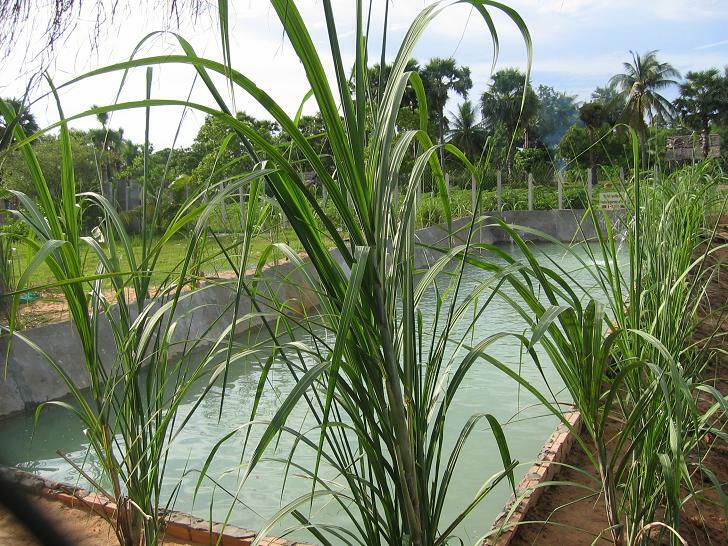 It looks like a great big pool which would be awesome for the kids to play in during the hot summer months. But yes, I know. Food is the priority. 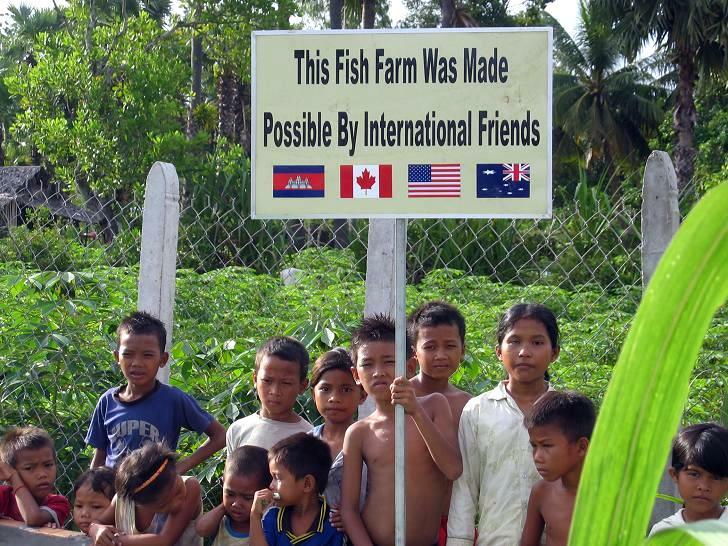 But I'm wondering if you could still swim with the fish. I really wonder if they would mind. And for anyone who thinks the above statements are idiotic, you just have no idea how hot it gets in this country! It shouldn't be too long before the fish arrive. We're hoping to bring in nearly 600 which should last ... well, I have no idea. I can tell you that these are hungry kids so maybe not as long as you might think. As always, donations towards these projects are always appreciated.